EP 437 - Gabriel Iglesias aka Fluffy (Comedian) + DTRUMP vs. PHILADELPHIA/GOATS CAN BE UNDERDOGS?/I AM RAPAPORT TOUR ANNOUNCEMENT/SICK F*CK OR BEYOND? 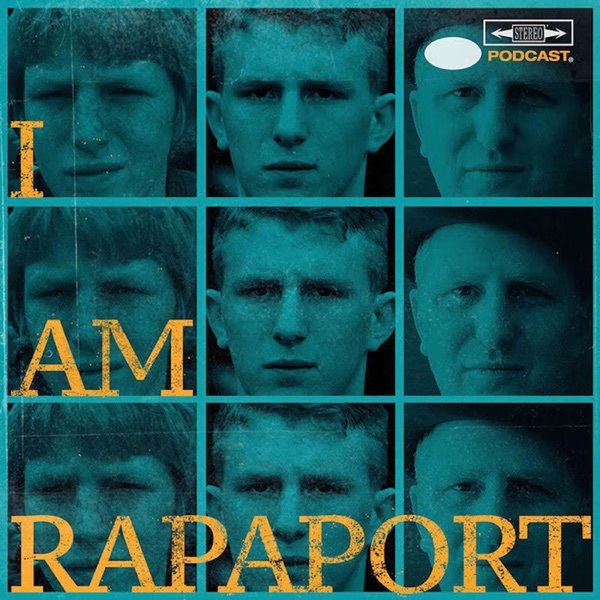 Michael Rapaport aka The Gringo Mandingo is is going solo up top to discuss: The live show in San Francisco, Game 2 of the NBA Finals, Serena Williams pulling out of the French Open, Michael’s Unfriendly Skies experience, DTRUMP vs. Philadelphia, Samantha Bee vs. Ivanka Trump, I AM RAPAPORT TOUR ANNOUNCEMENT, getting 15 Pounds of Wolf Piss for Feral Cats in his neighborhood and an invitation for Beth & Howard Stern to come over for dinner/take the cats, trying Cryotherapy & more. Then it is an honor & a privilege to have world renowned comedian Gabriel Iglesias aka Fluffy (33:38) on the I AM RAPAPORT: STEREO PODCAST with Michael Rapaport to discuss: Selling out Madison Square Garden & Staples Center, starting out in comedy, the business of comedy, biggest comedians, podcasts, favorite comedians to watch in person, Andrew Dice Clay vs. Sam Kinison, staying away from Sports & Religion in comedy, bombing in Cleveland, advice to young comedians, being a Mexican in today’s political climate, knowing your audience, performing at colleges, why Fluffy got into comedy, comics that he came up with, Russell Peters inspiring his international tour, countries & stadiums he’s performed at, people around the world who watch comedy around the world on YouTube, Alfred Robles, places where they’re most popular with women as single men, performing for the military, Top 5 stand up comedy performances, Kevin Hart setting the bar for how big a comedy show can be, Dane Cook & MySpace bringing comedy back in the 2000s, if the comedy bubble can burst, Bill Burr, signing an overall deal with Netflix, crafting a Comedy Special, getting in shape for his upcoming sitcom & more. Then Dean Collins aka The Young Shooter aka Judge Collins is here with Michael to determine this week’s SICK F*CK OR BEYOND? This episode is not to be missed!